Construction continues to advance at a really nice pace here at the lake. The 6,000 square foot full service restaurant and bar and convenience store is scheduled to be completed by the end of October. There are 10 additional Covered Dry Storage Garages being constructed right now and are set to be completed in June and ready for rent in July. Our waiting list for these is almost full so call the store to get yours reserved! 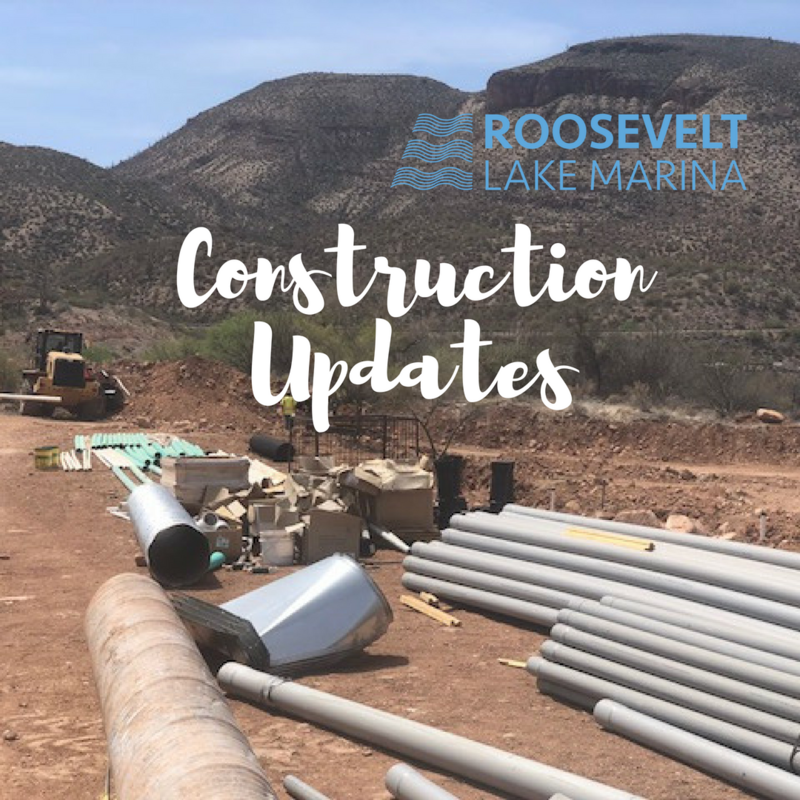 The RV Park and New Public restroom facilities are on track to be up and running this summer. Reservations for the RV Park will be created by calling the store at (602) 912-7170.